Members of the Saponaria plant genus can be grown either as annuals or perennials this section is dedicated to the annual variety; Information on Perennial Saponaria. Annual Saponaria plants range from 15 to 90 cm in height. The plant Saponaria Vaccari, the anual cowherb/cow cockle is also refreered to by the scientific name Vaccaria hispanica. They carry lance shaped leaves and come into bloom in spring (if sown in autumn) or summer (if sown in spring). Flowers are usually flat and of pink or white. Some common names for annual varieties of Saponaria include Cow Herb and Soapwort. Their small size makes Annual Saponaria ideal for use in rock gardens. Saponaria Vaccari/Vaccaria hispanica by --Tico--. 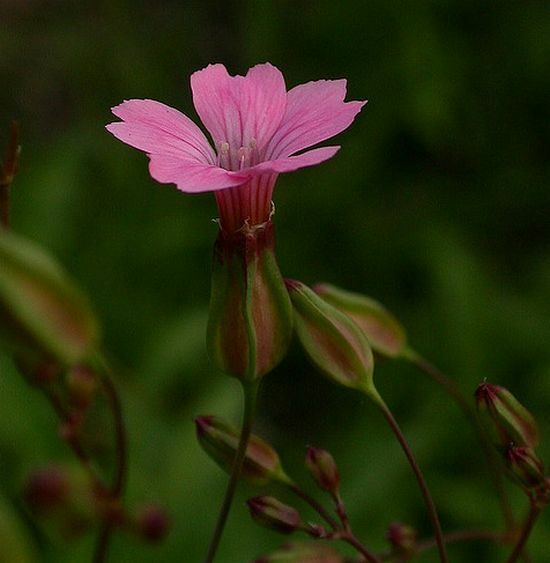 When growing annual varieties of Saponaria such as Soapwort and cowherb outdoors, the seeds should be sown on the surface either after the last frost of spring (for summer blooms) or at the start of autumn (for spring blooms). Ideally Soapwort should be grown in a well drained sunny part of the garden and spaced about 25 cm apart. The soil can be ordinary. If you plan to start off Soapwort indoors then start the process about a month and a half before you expect the last frost. The seeds should be placed in moist soil, put in a plastic bag, then imbibed by putting in the fridge for about three weeks. The seeds should then be put into the light at a temperature of about 20 degrees. It should take about one to three weeks for Soapwort seeds to germinate. Once ready transplant the young Soapwort outdoors following the last frost of spring. Annual Saponaria plants such as Soapwort and Cow Herb are very easy to look after; water them in the summer and other prolonged dry spells; they should be lightly fed a couple of times during the growing season.